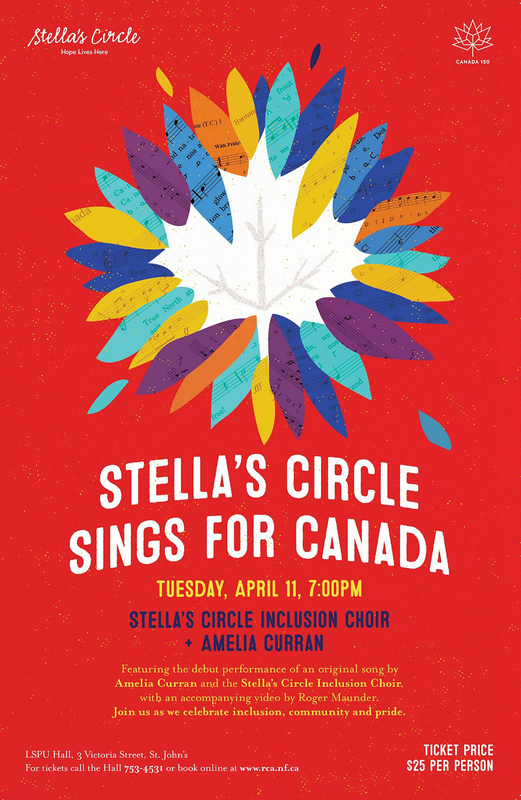 A couple of weeks ago, Andrew surprised me with plans for a date night that included tickets to see Stella’s Circle Inclusion Choir, together with Amelia Curran, celebrating inclusion and community for Canada’s 150th birthday at Stella’s Circle Sings for Canada! It's like he knows me!! And so we headed to the LSPU Hall on Tuesday evening to enjoy a night of fabulous music with an even more fabulous message of social justice and inclusion. With performances by the Inclusion Choir and Juno Award-winning Amelia Curran, this event showcased an original song written in collaboration with Amelia. The audience was also treated to a screening of a short video by Newfoundland filmmaker Roger Maunder, documenting this remarkable project. Stella's Circle Inclusion Choir is more than just a choir. It was formed ten years ago in an attempt to bring people together to encourage belonging, empowerment, and acceptance through the power of song. There is no audition process, no prerequisite for singing ability, and no competition. With open arms, the choir provides a unique opportunity for people who want to sing and experience a sense of community and belonging. "The Inclusion philosophy is that the choir is a place of acceptance and an opportunity to be a part of something bigger; it increases social connections for people and can be a great first step to engaging in other community activities." Most of the choir's members have overcome or are living with significant struggles, such as homelessness, mental health issues, poverty, addictions, or are reintegrating in the community after a period of incarceration. They are motivated by the desire to share the joy of singing with as many people as possible, with the understanding that singing in a choir makes you feel good and helps combat feelings of loneliness and isolation. They are a diverse group of people brought together by music and bound together through shared experiences. 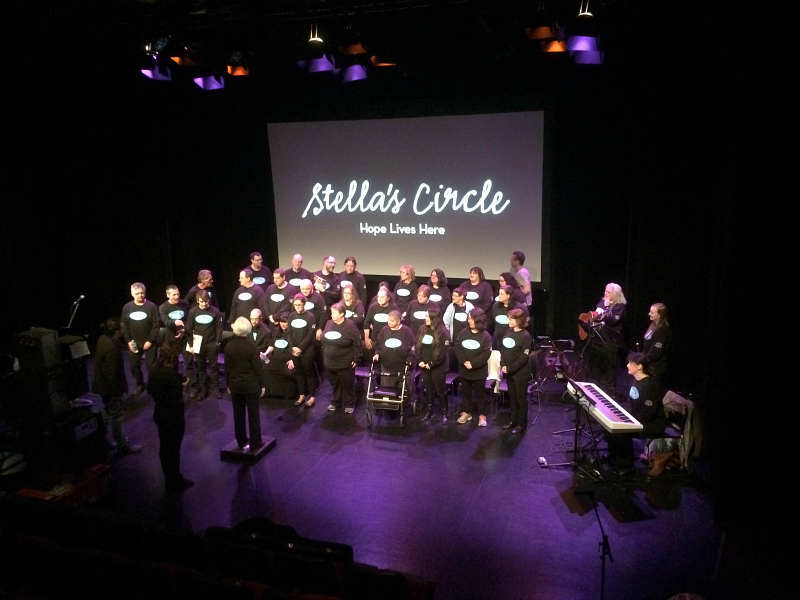 "It's really important to have people be included in their communities, and a lot of the individuals that avail of the services of Stella's Circle sometimes feel as though they're excluded, so it's really special, what's happening in the Inclusion Choir." Choir Director, Helen Murphy says, "Everybody needs to feel connected. And it doesn't matter if it's a small group in St. John's, Newfoundland, it's everywhere. We're all the same that way. We flourish, we grow, we change. We can be our best selves when we're connected to other people - when we feel accepted and respected and certainly not judged." Amelia Curran, who just released her eighth studio album, is also a strong mental health advocate. Through her organization, It's Mental, she works to improve treatment for people with mental illness and erase the stigma associated with it. A couple of years ago, she and Maunder created This Video with a powerful message that started the conversation about Newfoundland's mental health problem and how poorly our system supports people suffering from mental illness. Amelia has big and brave ideas. She believes in them and she works hard for change, and because of that, a new path is being paved. Inclusion is a simple but powerful concept. It is not just about being in the same physical space as someone else, it means actually caring about the people around us. My amazing little boy has changed what 'inclusion' means to me. He has opened my eyes to the incredible strength and courage that it takes to navigate a world that doesn't always make it easy for people. I want to help make it easier for my son and for everyone else who has challenges of some kind. I want to live in a world where everyone matters, and where everyone is valued for who they truly are. The thing is, everyone is going through something. Everyone has their thing. Some are more obvious, while others are hidden, but we all have our struggles. Finding connection and community and celebrating life together is the key to reminding ourselves that we are not alone on this journey. We all need to feel like we belong to something that is bigger than we are alone. Choir member, George Walsh summed it up beautifully when he said, "Maybe some people are not as vocally strong, but when we come together we are one voice." For me, this performance by this choir was a demonstration of hope in its purest essence. Hope that every one of us may live in a world where we love and take care of each other. The evening closed with a surprise appearance by Geraldine Hollett, Phil Churchill and Andrew Dale of The Once, who presented the Inclusion Choir with a Music NL Award for ten years of positive community empowerment! Geraldine held back tears when she said, "Stella's Circle Inclusion Choir, you bring light to darkness. You offer hope for a better world for us all. You let people know that they do not have to feel alone. You inspire, and you have touched countless lives, including all of us tonight, and continue to do so every time you collectively open your mouths." 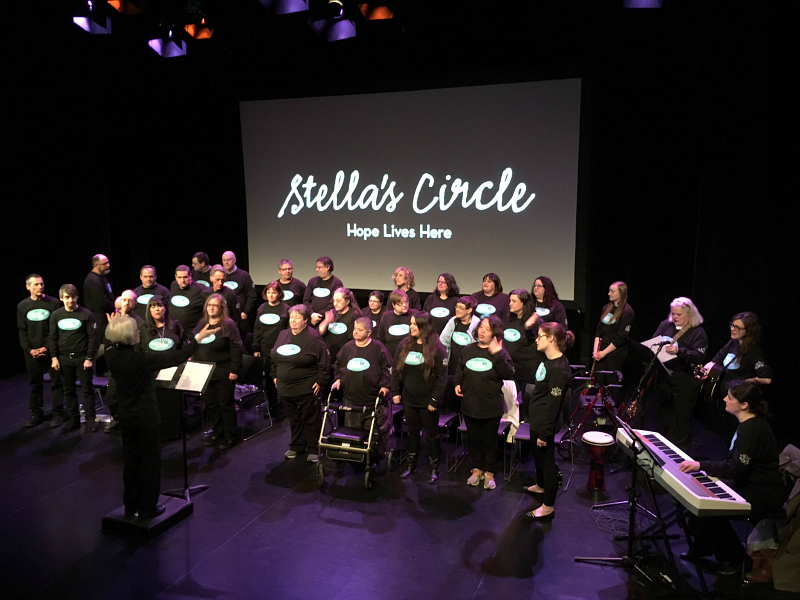 Congratulations to the Stella's Circle Inclusion Choir! And thank you for the joyful reminder that Hope Lives Here! I will post the link to the documentary as soon as it's available!